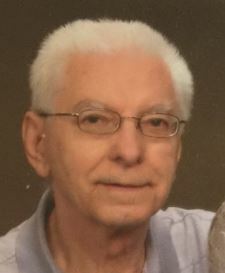 Obituary for Lester D. Myers, Jr. | Harold M. Zimmerman And Son Funeral Home Inc.
Lester D. Myers, Jr, 82, of Greencastle, PA died unexpectedly Thursday, March 21, 2019 in the Chambersburg Hospital. Born January 18, 1937, he was the son of the late Rev. Lester D., Sr. and Rev. Margaret G. Myers. He served honorably with the US Army. A truck driver most of his life, Mr. Myers had worked at the former Baker’s Driveway and at B.F.I. in Hagerstown. He was last employed as a driver at the Williamsport Retirement Home. Mr. Myers enjoyed watching sporting events and westerns on television. He was a fan of the Baltimore Orioles, the Baltimore Ravens, and NASCAR driver Jimmie Johnson. His wife of 56 years, Doris R. Hollingshead Myers, whom he married January 28, 1961, preceded him in death on August 12, 2017. He is survived by his son, Steven W. Myers and wife Kimberly D. of Greencastle, his daughter, Brenda Lee Miller and husband Michael E. of Hagerstown, four grandchildren, Amanda, Jennifer, Alicia, Kyle, two great-grandsons and several nieces and nephews. A graveside service will be held at 2:00 PM Wednesday, March 27, 2019 at the Cedar Lawn Memorial Park in Hagerstown with Rev. Gene Renner officiating.